MOSCOW — A fire swept through a Russian home for people with mental illnesses, killing 23 patients and injuring another 23, many of whom were unable to walk, the emergency services said Sunday. The remaining 24 patients were safely evacuated, including some who had to be carried out of the building, and the four medical personnel working at the home were unhurt, they said. The fire caused some outrage in Russia because it followed two similar fires in 2013 that took the lives of 75 people. After those fires, the government had promised to improve fire safety at institutions for psychiatric patients. Investigators have not yet determined the cause of this weekend's fire, which broke out late Saturday in Alferovka, a village in the Voronezh region about 350 miles south of Moscow. The fire in the one-story brick building was extinguished shortly after 3 a.m. Sunday. The fire started in a section of the home dedicated to patients who were unable to walk, emergency services official Igor Kobzev said on Russian state television. He said 39 of the patients in the home could not walk. 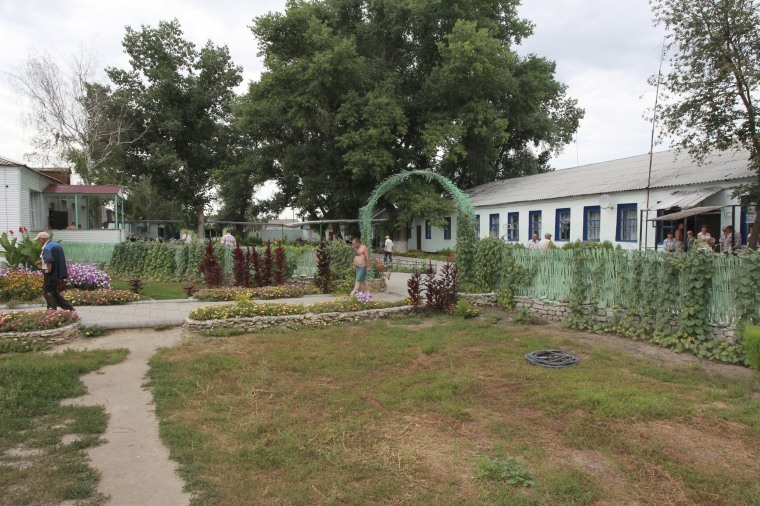 All of the patients at the Novokhopersky Neuropsychiatric Home were men and those who died were aged between 46 and 78, according to a list released by the emergency services. Those who were evacuated were placed in a nearby home for elderly and disabled people. Russia has a poor fire safety record with about 12,000 fire deaths reported in 2012. By comparison, the U.S., with a population roughly double Russia's, recorded around 3,000 fire deaths in 2011. "The mass death of socially vulnerable people occurs each time for the same reason: a lack of funding, dilapidated buildings and too few personnel, especially on night duty," said Vladimir Markin, a spokesman for the federal investigative agency. "However, judging by the preservation of such conditions and the repetition of these tragedies, the proper conclusions from this analysis of the causes either are not made or are made in favor of half measures or the dispersion of budget funds, which does not solve the problem," he said. Markin said Russian society should demand the construction of major rehabilitation centers with comprehensive safety systems. His statement listed 11 major fatal fires since 2005 in homes for the aged, disabled and mentally ill across Russia. In April 2013, a small psychiatric hospital in a town outside of Moscow burned down, killing 38 people; only two patients and one nurse survived. In September 2013, a fire at a home for psychiatric patients in the Novgorod region northwest of Moscow killed 37 people. A 2006 fire at a drug treatment facility in Moscow with barred windows and locked doors killed 45.